We have a great beginning to the school year as we have been working on our Unit 1 topics. We have reviewed map skills,the Five Themes Geography, and cultural geography topics. We will have a test over Chapter One on Wednesday. We are excited about our new school year! We have had a great beginning to the school year. It is super to see all the new faces in seventh grade. This week we are finishing the Physical Geography of North Africa and the Middle East. We will have a Test over Chapter 17 in the text on Tuesday . The student have a study guide to assist them along with the other work they have done to prepare. We will also have our map quiz over the physical geography of the region on Friday Feb. 16 the test. Because the cultural aspects of the region effect millions of people worldwide , we will have a overview of the three major regions that began in the Middle East region for the next several days. Wednesday is Valentine's Day !!! - please do not bring candy or balloons or other such items to school. Next Monday Feb. 19 is President's Day and Tuesday Feb. 20 is a teacher workday - two day off from school. This week we have flown west to our next region of study - North Africa & the Middle East. Monday -we will complete the physical geography of the region map and maps for the countries & capitals of the region. Tuesday - Friday we will use our text Chapter 17 to explore the geography of the area and study how it effect the different people of N.Africa & the Middle East . the Quiz over the Countries & Capitals will be Feb. 23 . Start studying now ! We are working on a mini - project on the countries of Southeast Asia with using the laptops on Wednesday and Thursday. We will be summarizing the modern history of the countries and the effects the location has on the people of each country. We will present our findings to our classmates. Our region of study: the countries ,capitals, and landforms ! This week we will continue our study Southeast Asia with a test over Chapter 28 on Friday 1-26. Start studying now - use your sets of questions to study with. Most of us did well on the map quiz ! I appreciate how well the students worked on the Performance Series Testing. Happy New year and Welcome Back ! I hope everyone had a great and restful holiday . Also , we would like to thank our resident expert - Mrs. Kulkarni for teaching our class before the holidays. 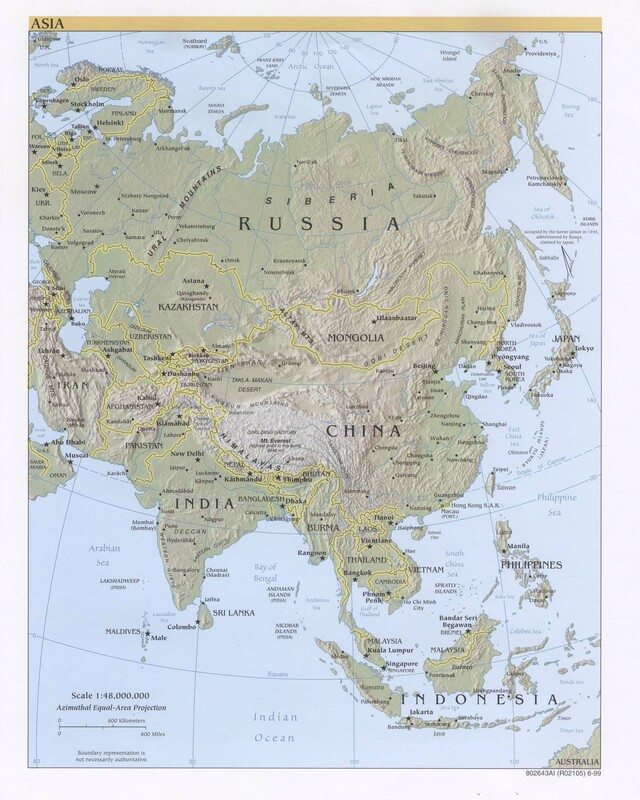 We will start Southeast Asia this week with a map of the area and then start the region by using Chapter 28 in the text. We will have our Performance Series Testing next week 1/16 - 1/18 . This week we will finish the portion of our study of South Asia that is in our textbook with a test over Chapter 25 on Friday . Remember that our map quiz over countries, capitals and geeographical locations will be Thursdays . You should have been studying ( be careful with the rivers , we don't want you to fall in) . Reminders : Tuesday is the band concert at 7:00 - come and enjoy real music ! We have now flown over the Himalayas and landed in Southern Asia. We will be studying the countries ,cultures and geographies of this region. Our countries will be Afghanistan, Pakistan, India,Bangladesh, Sri Lanka , and the Maldives. ( Nepal & Bhutan) . Monday , we will complete the political and physical maps of the region and the rest of the week we will dive into Chapter 25 in our textbook. We will have a map quiz on Dec. 14th . Start Studying now ! Reminder: Wednesday will be an Early Release Day at 2:30 . We hope everyone enjoyed their Thanksgiving Holiday ! This week we are finishing our study of China. Monday and Tuesday - "Reading Rounds" as we call it and practicing our notetaking skills. Remember Wednesday is D.E.A.R. .
We will finish the week with some culminating activites. Remember to have progress reports signed and returned tommorrow. Most of us have done well and keep up the good work. We are also given a great website by Dr. Tyson last week . Find a spot and start digging. For those traveling, please be careful and wear your seatbelts ! Enjoy your family time ! China, North Korea, South Korea, Taiwan, Nepal and Bhutan . We will review our map of the countries, capitals, major rivers and geographic feature of the region. We will have a quick quiz over the map on Wednesday Nov. 8 and a Test over Chapter 26 information on Friday Nov. 10 . Reminders : Be careful on Tuesday night - don't let the spooks get you or automobiles ! it in an interesting way. Next Tuesday - Nov. 7 is Election Day - no School - teacher workday. This week is Conference Week / Early Dismissal at 2:15 for students. We are looking forward to seeing the parents at conferences. Ths week we will need to work hard in class to research the information for our presentation on Japan. This will culminate with a Power Point or Keynote presentation . Reminder - Friday is teacher workday / student holiday . Next week is Conference Week with early release at 2:15 . Most of the student did well on the Chapter 27 Test . As usual , if you did not make an 80% or better please have it signed and returned . http://mabryonline.org and select the button that looks like the flag of Japan. This week we will be working on some of the history of Japan . A very large group of the students did well on our test over the Reading Essential book on Japan. It added to the dept of learning. Today we worked on our maps of Japan and the surrounding bodies of water and countries. We will have a quiz over it next Monday Oct.2 . We will also dive into more of the history and culture of Japan. Our own Dr. Tyson has been awarded a Fulbright scholarship and will be our ambassador to Japan starting next week. To help us bridge across the two cultures and to deepen our understanding he has developed a podcast of our students to take with him and has already set up a website where he can post pictures and journaling during his trip. The seventh grade is so excited to have our own explorer seting off on an adventure in a country we are studying at this time. Please use this site to keep up with his trip. Monday is Constitution Day so we will study the different aspects of the documents. Tuesday & Wednesday – Reading Essentials book over Japan with a Quiz on Friday. The book is a class set, so work will been done in class. We will also study the map of Japan’s island, cities, and surrounding countries. The map quiz will be Sept. 27 . This week we will start our adventure in Japan . We will study the major islands, cities, and their deep culture . We hope everyone had a great Labor Day this weekend ! This week will be finishing Chapter 24 over the Physical Geography of East, South, and Southeastern Asia. Study guide Tuesday night . A quick Quiz on Thursday (20 questions) and a map Quiz on Friday on the 19 areas from our map . Big map is linked if seeing the big picture helps .